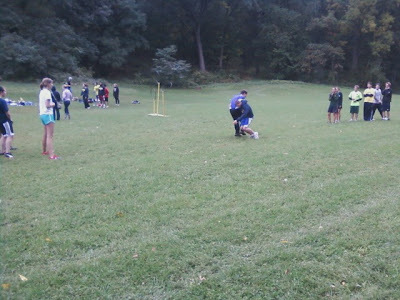 Late Friday afternoon I stumbled upon the U of M Quidditch Team practicing in the Arb. Looks like a pretty rough takedown in the picture. Based on this video of the U of M vs. MSU game, the sport looks a little rough. At least there were no dementors causing them to fall off their brooms.